James was Steve’s great uncle. The son of William H. and Theodosia M. Webster of 1 Bramber Place, Sheffield. 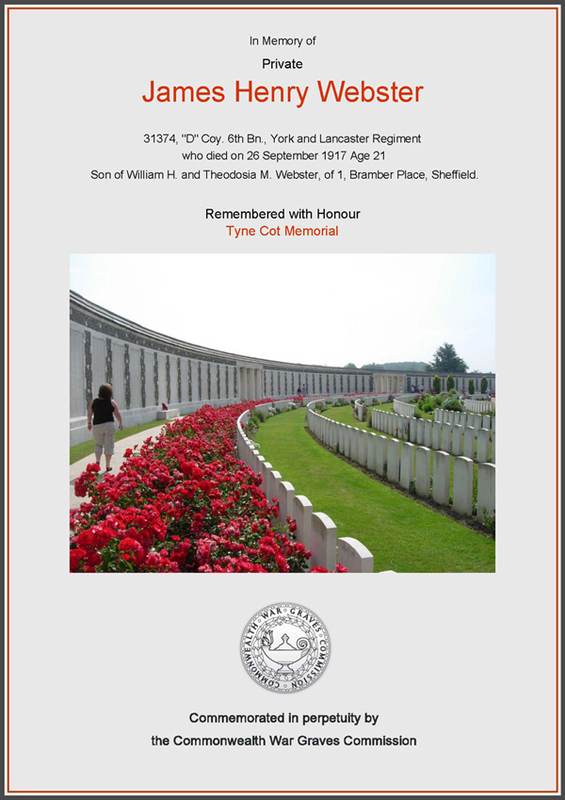 Born at Sheffield on 27/11/1895, James was Private 31372, ‘D’ Company, 6th Bn. York & Lancs. He was killed at Ypres on 26/9/1917 and is remembered with Honour on the Tyne Cot Memorial.